We love to hear from our customers regarding our products, so thanks to Mr Lambourne for this great review and photograph of our Papillon™ Bark Screening Rolls. With thanks also to Ms Castiel for these brilliant photos of our 1.8m high bark screening. "Well put together and at a good price. 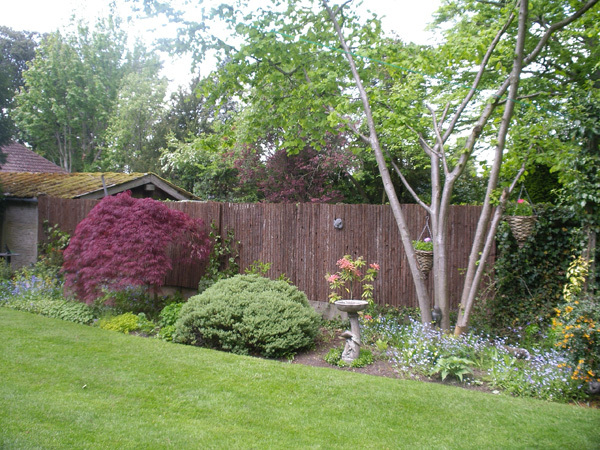 Quick delivery"
"I bought this because I needed a temporary screen until new shrubs grow. Having used it previously I thought it was a bit smarter than the other similar "roll" type screens and I needed it for the front of my property. When it arrived it felt a little soft and damp but I figured once it was unrolled it would "air." I put it up by fixing it to a standard approx 3' chain link fence and used one tall stake centrally for more support. Unfortunately that same night we had torrential rain and gales. By the morning the upper part of the screen had absorbed loads of water and the upper half of the screen had bent over as the winds had snapped the aluminium stake! Four more steel stakes and £25 later I have a screen that stands upright. Not the cheap temporary solution I'd been after. 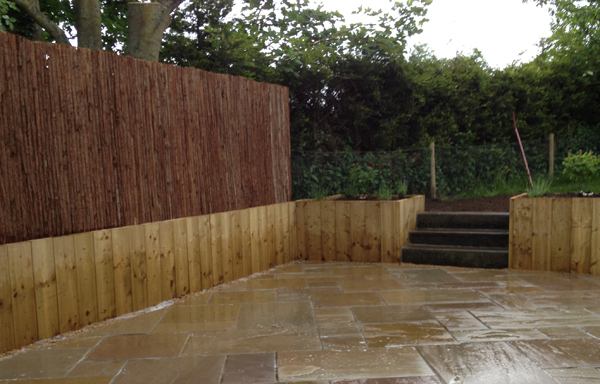 This IS a smart looking screen and is ideal for masking an ugly boundary with full support or in a sheltered spot. If you need something that will stand up to some weather it's not great. 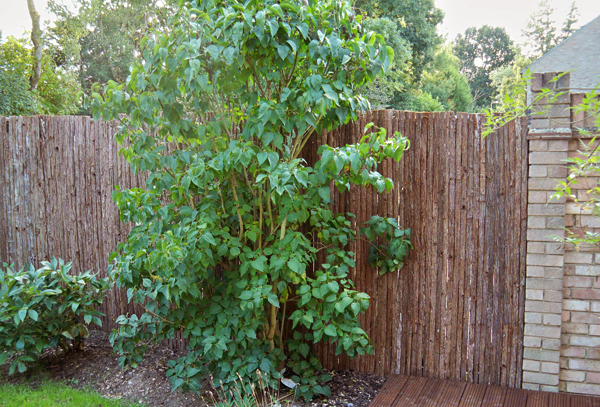 I should have gone with the willow screen which I have elsewhere in the garden. It's not as smart but I've had it for years and it hasn't deteriorated at all. Because it's not as "solid" as the bark screen, wind can get through to some extent so it doesn't bend over and having bark all round it doesn't absorb rain and get soft. A bit more thought about getting the right screen for the right place would have saved me time and money." "It s beautiful thanks very attractive screening." "Looks great and was easy to erect." "Excellent! Placed over existing boring fence. Looks fab!" 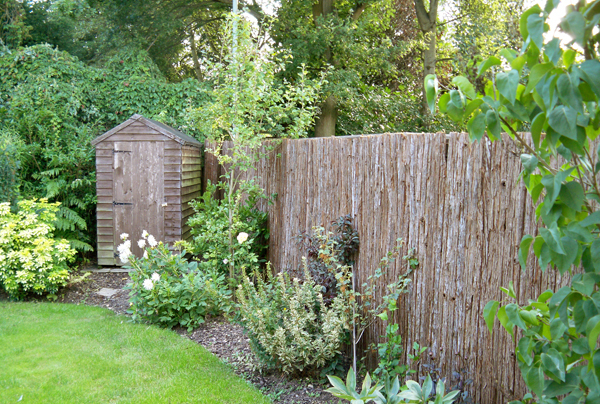 "Privacy on a roll and easy to put up"
"An attractive alternative to panel fencing - does the job we bought it for." 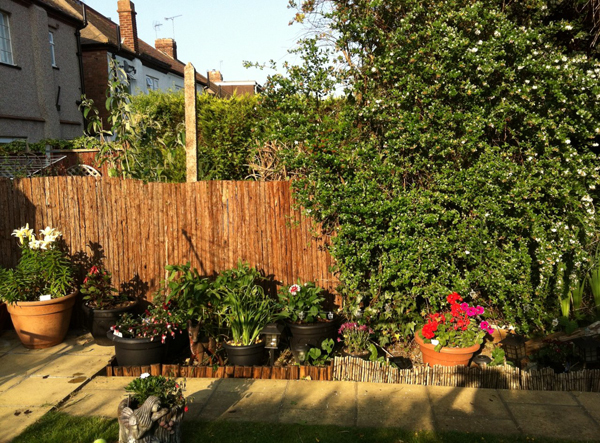 "Love this screening, looks really nice, and is easy to put up. 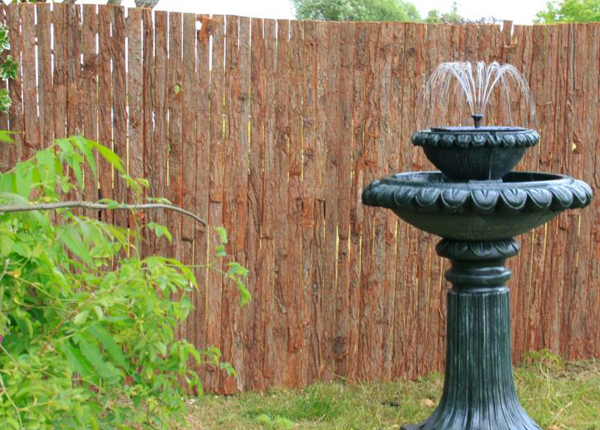 I have it covering an old fence and also on its own with posts and rails. I didn’t use the wire to attach it, I simply used short screws with quite big heads, and it worked fine." "Good looking product looks natural & a very reasonable price."